Explore the jungle in Congo Bongo, where you’ll be faced with rolling coconuts and pesky monkeys. Your aim? Dodge coconuts and monkeys as you navigate the levels of the mountain; to move on to the next level, you'll need to successfully reach Congo at the top of the mountain. The quicker you reach the top, the more bonus points you collect, and the time that remains will be added to a total score. Congo Bongo takes gamers through different landscapes in the course of play, such as Rhino Ridge, where you’ll need to make use of mole holes to successfully escape the charging rhinos. In the Lazy Lagoon, you can rely on lily pads, hippos, and piranhas to make your way across the water and take your ultimate revenge on Congo the Gorilla. 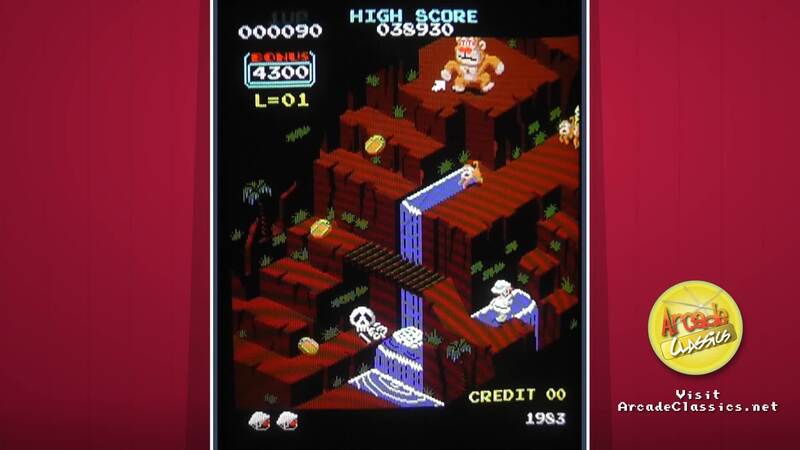 Congo Bongo was released by Sega in 1983.